“It was one of the most nerve-racking moments of my life,” said third-year pitcher Tabbetha Bohac. On Monday morning, the Maroons (25–8) awaited their postseason fate. Although the South Siders have had a strong season against a number of tough competitors, a slot in the postseason is never guaranteed. Sixty-two teams were selected for NCAA play. “We were sitting there, watching each bracket as they came up until we saw UChicago,” Bohac said. It is now official: The South Siders have qualified for the regional championships that will take place this weekend in Chicago. “We expected to make regionals with our record, but we were all still holding our breath during the DIII Softball Selection Show,” said first-year second baseman Anna Woolery. The format for NCAA DIII softball postseason has changed this year. Poole explained that whoever wins regionals will advance to super regionals, and then whoever wins that bracket will move on to the NCAA Tournament. “To go to super regionals, we have to win our double-elimination bracket, which is made up of four teams, including ourselves,” Woolery said. Regionals will take place this weekend, and Chicago’s four-team pod will also include Thomas More College (30–10), Benedictine University (32–11), and No. 23 UW–Whitewater (31–9). Of their three opponents, the Maroons are strangers to Thomas More and Benedictine, but saw UW–Whitewater a few weeks ago and split the doubleheader. Chicago is expecting an intense weekend, since all of the teams have similar records. 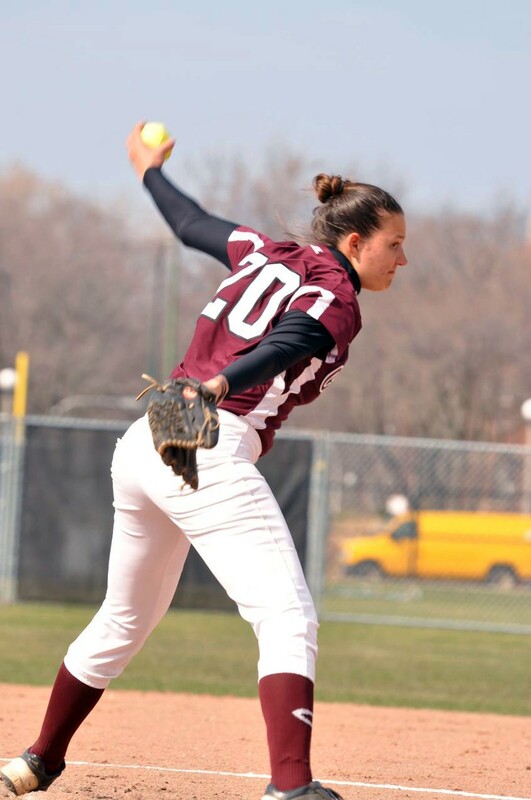 The Maroons, however, are very strong on the mound with Poole and Bohac pitching, as well as at bat, with fourth-year third baseman Maddie McManus and third-year outfielder Raechel Cloud hitting .390 and .352, respectively. The Maroons play their first game of the regional championship this Friday at 1 p.m. in Hyde Park. The rest of the tournament will be determined by early play.